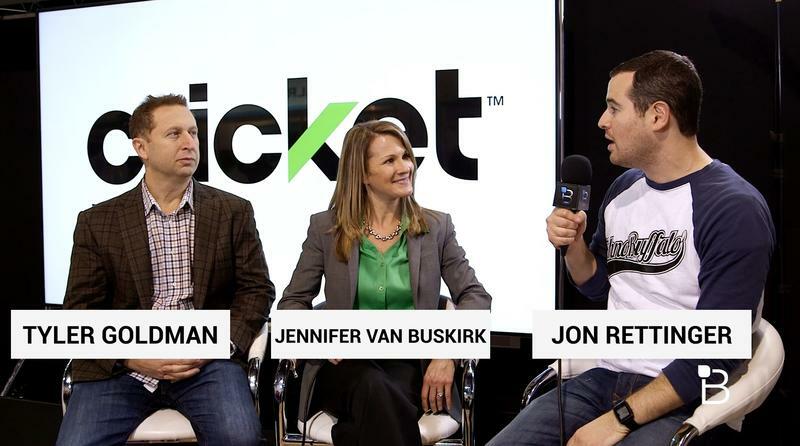 Among the chaos of CES 2015, Jon had the opportunity to sit down with Cricket Wireless CEO, Jennifer Van Buskirk, and Deezer CEO, Tyler Goldman, to talk about a new (and exclusive) deal being offered to prepaid Cricket customers. If streaming music is part of your daily routine, this is right up your alley. Although it's not a household name, Deezer is among the larger music subscription services available, offering over 35 million tracks and 30,000 Internet radio stations. That's more than any other competing service out there, setting it apart as one of the most comprehensive music libraries in existence. With the Cricket deal, it marks the first time Deezer will be available to mobile subscribers in the U.S. The partnership is a win-win for both parties. Cricket Wireless has been on the up-and-up since re-launching last May, and the Deezer deal is a nice way to get customer attention. But, really, Cricket's pre-paid plans and robust LTE network speaks for itself; Cricket currently offers more 4G LTE coverage than T-Mobile, Sprint, MetroPCS and Boost. Even better, the wireless carrier offer no-fuss plans, so if Cricket says you pay $40 per month, that's what you pay with taxes and other fees already factored in. No surprises, and full transparency. When you think about it, the partnership between the two companies is a no-brainer. Two disrupters making a lot of noise together. As part of the deal, Cricket customers can start subscribing to Deezer for just $6 a month, which is cheaper than most music services out there. If you do decide to subscribe, the extra six bucks will be added to your bill automatically. Cricket customers can sign up beginning Jan. 31. Check out the video to hear the thoughts of Van Buskirk and Goldman to hear how the partnership came to be, and why you'd choose Deezer over something like Spotify.